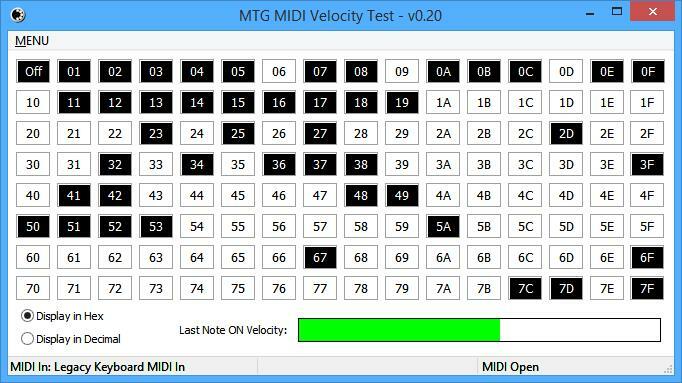 While looking into the DX7 and some of the expansions for it, I needed a way to capture all the possible velocities that a given MIDI keyboard could put out. Not all of them send all 127 possible velocities. Here is a link to the software. I may continue to update it, not sure. If you have issues with it let me know. It’s a Windows 32-bit application and I’ve tested it on Win8.1 . This entry was posted in Uncategorized, Yamaha DX7. Bookmark the permalink.